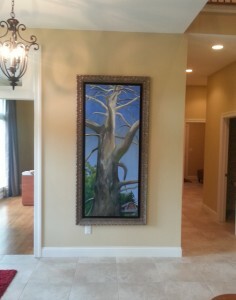 It is good to have the painting “Landmark for Home” displayed in the new owner’s entryway. What was once a landmark for our home, now greets them at their lovely home. This entry was posted in Landscape on October 27, 2013 by admin.